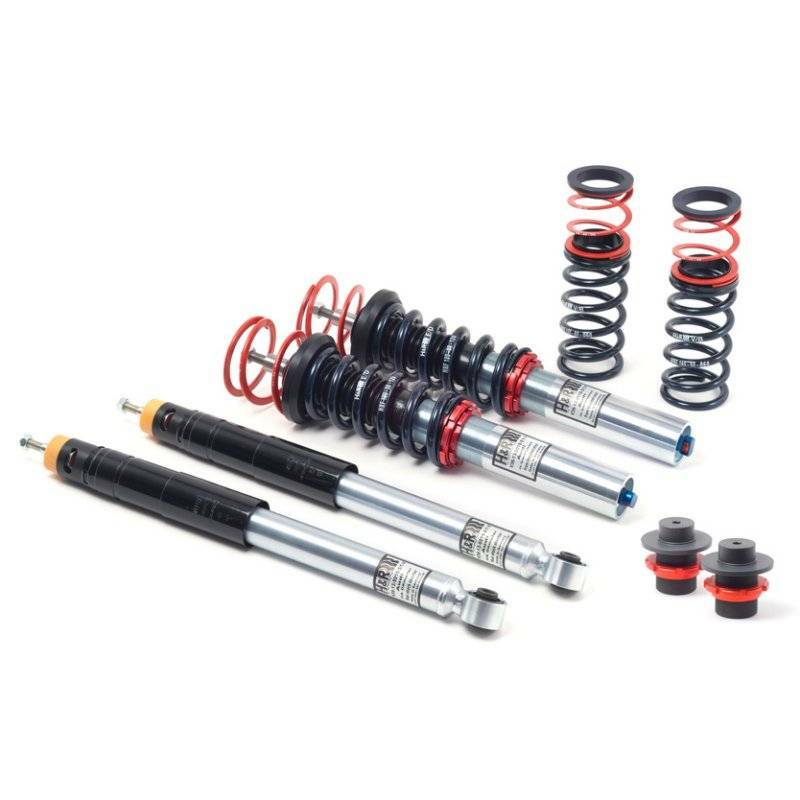 H&R RSS+ high performance coilovers feature adjustable monotube gas dampers coupled with progressive rate springs that are properly matched to create a perfect setup for high performance driving to nearly eliminate all unneeded body roll and weight transfer. These coilovers lower cars a range of ~35mm to ~70mm. They are a great fit for owners who wanted a full performance suspension package that features a large range of height and damping adjustability.